Foodista has a variety of advertising solutions to meet your company or brand's needs. 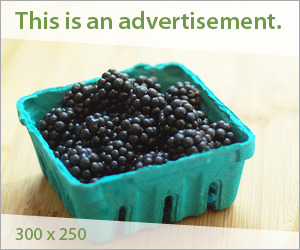 Contact us at advertising@foodista.com for more information. You may also download our advertising media kit (pdf). Interested in advertorial opportunities? Please visit our Advertorial page for more information. 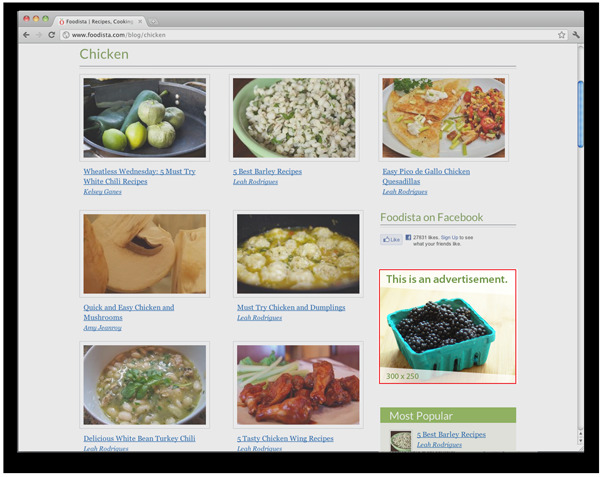 Foodista displays ads in a few different sizes, such as below. In some cases we are able to customize, just let us know what you are interested in! 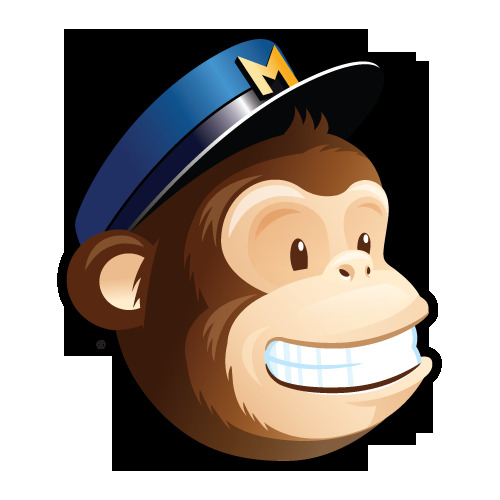 We can work with you to create custom campaigns for your company or brand. 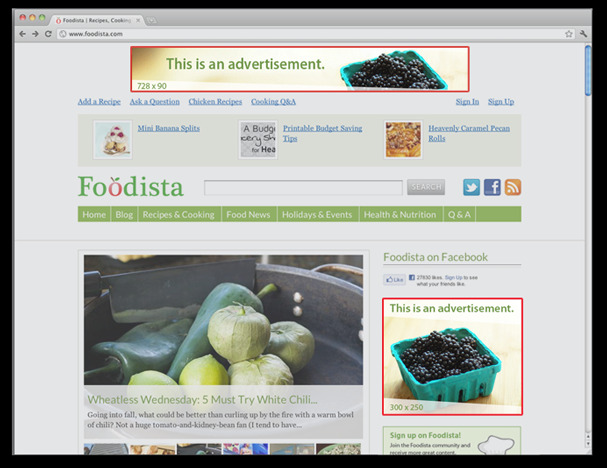 Contact us at advertising@foodista.com to find out more about building custom advertising opportunities. Launched on December 17, 2008, Foodista is a passionate community of food lovers who want to share and exchange its collective knowledge about all things culinary. Our editorial content informs and entertains readers with a daily dose of food news, cooking tips and recipes, health and nutrition information, holidays and special events, and more. 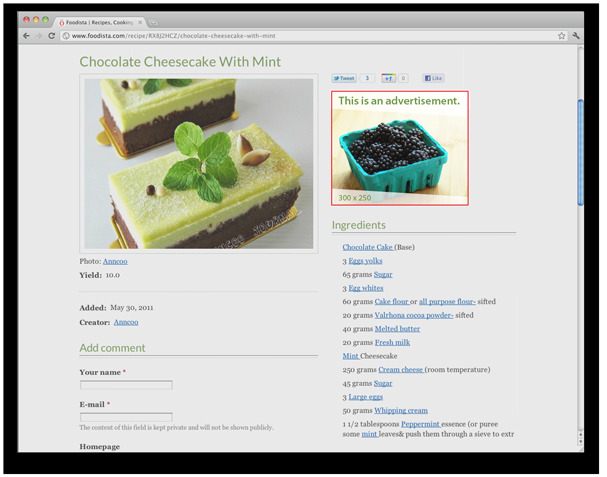 Additionally, we feature a wealth of encyclopedic content about foods, tools, and techniques, and house a growing database of user-added recipes. Below is a sampling of published mentions. Check out our Press page for more. For more information, contact advertising@foodista.com. You may also download our advertising media kit (pdf).